If there is a garment that ideally suits this summer, then its name is a romper. In today’s post, I want to share with you my favorite ways to wear this fabulous piece in real life. You gonna be impressed by the variety of styles, shapes, and details that can be found on the internet. I am thankful for hot weather, as it allows us to wear this sweet and ladylike garment in various ways. It’s an ideal piece for those days when you are in a hurry and have no time. If you want to know more, then I am more than happy to bring to your attention all my favorite styles to wear next spring. I am so in love with this flower printedromper, it is an ideal choice for women who want to make a wow impression of the streets. Complete it with a skinny belt and may be some layering, like a knitted cardigan or a lightweight jacket if the weather gets cold. Speaking of prints, I do recommend to check my post about printed trousers for women, you are about to see lots of interesting combos to try on the streets. 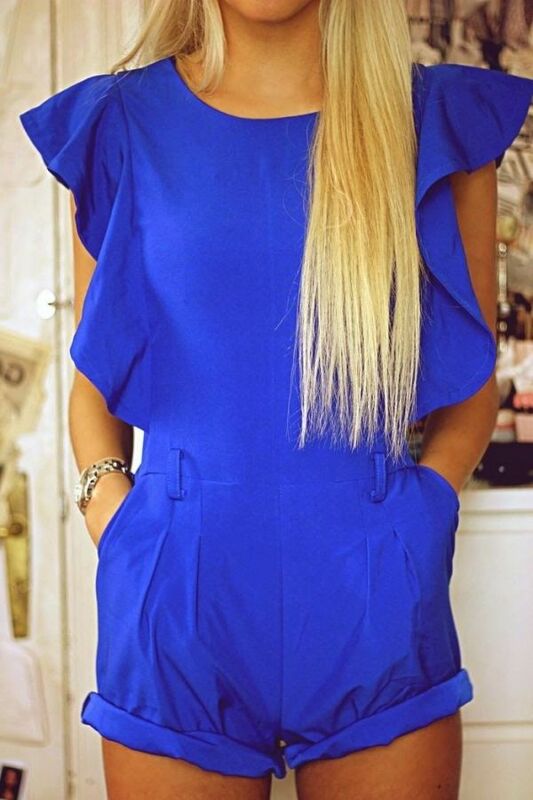 If you want to make a statement in the streets, then I recommend to try on contrasting color-blocking romper that for sure will make you look special. Plus, it will flatter your shape ideally. Another great style is the romper with a solid top and geometric print high-waisted shorts. Believe me, this is a stunning choice for creating a sophisticated look. If you want to keep things ladylike, then I recommend to try on bright floral style with a hint of kimono silhouette. If you dream of brightly patterned style, then I advise you to try on colorful geometric jacquard romper that for sure will spice up your everyday walks. This pattern can be completed with a fuchsia handbag and metallic silver sandals. Having a disco party? Go for a pastel blue strapless design with front tie detail. In love with boho style? You can try on lightweight romper fully printed in boho-florals. You can wear it with cool cream-white fedora, ankle boots, and fringed white crochet bag. Keep on scrolling to see my favorite styles to wear next season. V-neck red romper with long sleeves looks damn hot with leopard print shoulder tote bag and black leather ankle-cuff sandals. Speaking of prints, I do recommend to check leopard print trousers for women, all these beautiful bottoms can look pretty chic with most of your tops. We see a gorgeous white V-neck romper with crochet details. Trust me, Summer white attire is a perfect way to make yourself look special and ladylike. Do You have any thoughts about Summer Fabulous Rompers? 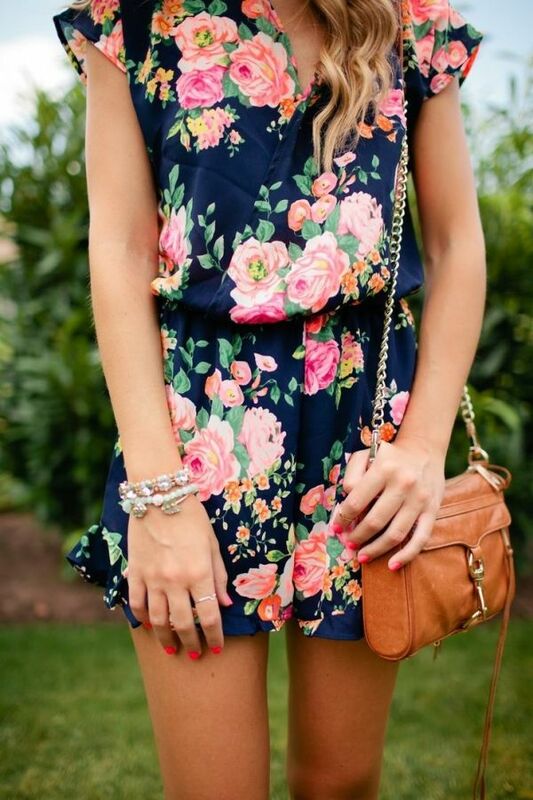 Here are Fashion Tips pictures and trendy women’s outfits which are in style in 2019: Best Rompers For Women, Best Summer Fashion For Ladies, Contrast Color Rompers, Floral Print Rompers, Lace-Up Back Rompers, Must Have Fashion Trends For Women, Two Piece Rompers and tips on how to wear them on the streets.